*Ameritas Investment Corp. can help create opportunities to enjoy life at its very best. As your financial organization, we know you trust your financial professional to present you with suitable strategies and help you navigate through the investment process with products and services of breadth and value. As your broker dealer and registered investment advisor (RIA), we are here to help you reach your unique financial goals. Through our network of financial professionals, we offer the following investment opportunities to help individuals and families grow assets and protect what matters most. 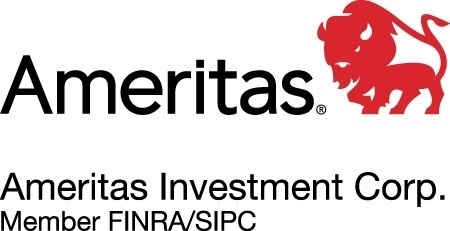 More about Ameritas Investment Corp.
Clears and settles securities transactions through National Financial Services, LLC and RBC Correspondent Services, both registered with the SEC, members of FINRA and SIPC. Your organization works hard to stay competitive and provide reliable service to your clients. By working with Ameritas Investment Partners, you can access expanded investment styles and strategies or simply use our investment advisory services as a complement to your own. Ameritas Investment Partners offers a broad range of investment services in a variety of asset classes, delivered by a knowledgeable staff of investment professionals who understand the specific real-world needs of our diverse clients. Among the investment advisory services we provide are fixed income, equity, commercial mortgages and real estate. We take a different view of the investment landscape, preferring to identify areas of opportunity targeted to our clients' needs and develop innovative approaches to capitalize on those prospects. Our team has the experience and knowledge you need to effectively manage your investment portfolios. We work one-to-one with our clients to address their investment challenges and create programs aligned to their goals. When it comes to innovative investment services and management, Ameritas Investment Partners is ready to help you succeed. Ameritas Investment Partners, Inc. is a registered investment advisor managing more than $14 billion in assets under management for insurance companies, public and private pension funds, endowments, foundations, mutual funds and high net worth individuals. We are a leading investment management company using sustainability as a platform to create value for investors. We are a diverse team of professionals serving a broad and substantial client base. Our clients include corporate and public pensions, foundations, endowments, and an estimated 400,000 individual investors represented by more than 25,000 financial advisors affiliated with broker-dealers across the United States. We offer a broad range of equity, bond and asset-allocation strategies available through mutual funds, variable insurance products, sub-advisory services, and separate account management. An integrated environmental, social, and governance (ESG) research and corporate engagement framework backed by one of the largest proprietary sustainability research analyst teams in the United States. Calvert Investments, Inc. is affiliated with Ameritas Investment Corp. and Ameritas Investment Partners, Inc. and is an indirect wholly-owned subsidiary of Ameritas Mutual Holding Company. Calvert mutual funds are underwritten and distributed by Calvert Investment Distributors, Inc., member FINRA, and a subsidiary of Calvert Investments, Inc. Calvert Investment Management, Inc., a subsidiary of Calvert Investments, Inc., serves as the investment advisor and provides sustainability research for the Calvert mutual funds and institutional investment strategies. Securities products are subject to investment risk, including possible loss of principal. Before investing, carefully consider the investment objectives, risks, limitations, charges and expenses of the product and any underlying investment options. This information can be found in the product and investment option prospectuses. Copies are available from your registered representative or broker/dealer. Please read carefully before investing.